The topic of digital books and 'digital print' has been long discussed, but 2007 saw notable progress and 2008 is set to see even more. Significant numbers of books are being scanned and a sizeable chunk of the world's libraries are now online with books available in digital formats. Technological advancement, like the development of portable e-readers, has also aided progress. User generated books - upload files and get your own book printed! Loads of different formats and you can buy one paperback for yourself, or you can sell your book to the world. You set your own price and Lulu ‘print on demand’ (and distribute) as and when items are ordered, with the author collecting 80% of the ‘creator revenue’ on every sale. You can also choose to get your book automatic listing for sale on the Lulu Marketplace (which attracts 900,000 unique visitors every week.) The size of the Lulu marketplace helps ensure that your work will show up well in search results in places like Google and Yahoo and Lulu also gets authors an ISBN - allowing books to be distributed in retail locations on and offline. Aspiring authors can find help from other Lulu users as there is a community of creators (over a million strong and counting), with more than 700 groups targeted to specific interests. Google aim to 'organise the world's information.'. Whilst the internet grows every day, the majority of the worlds information is still contained offline within the so called 'invisible web'. If Google are to organise all of the world's information then they need to be able to index all of the information that was published before the web existed. The Google Books project is addressing this, expanding the volume of online content by working with libraries across the world to scan in books. 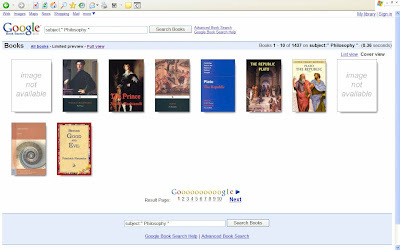 Once books are scanned in Google makes elements of their content available to all online users (and serves contextual advertising as the book is read.) Google also provides a 'buy this book here' link, though some still have qualms over copyright. 2007 saw a big increase in the number of volumes scanned and reading a book through Google is now possible! Too busy to read a book? Get it in email installments! www.dailylit.com sends out book extracts in daily email installments, with messages that take less than 5 minutes to read. 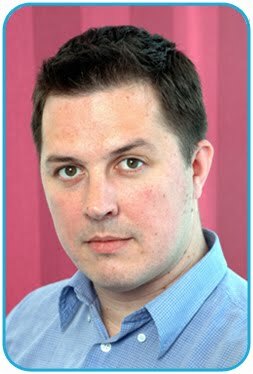 Dailylit.com believe that this is a great way of updating literature and bringing it to a wider, modern audience. The counter argument espoused by others criticises this scheme and accuses www.dailylit.com of turning 'classics to spam'. Given that it would take around 4 years to read 'War and Peace' through bite size daily email they may have a point, though I still think this is a nice way of getting culture into your inbox! 4) Sony Reader When the Sony Reader launched it billed itself as an 'Ipod for books'. Originally launched in 2006, a new version has been released in recent months. The handheld device allows readers to read downloaded electronic books in the style of reading a traditional book with users turning pages electronically. Users can buy books from the 20,000 title Sony Connect store and the new Sony Reader is geared up for a full range of memory card formats from SD to USB stick. The Sony Reader is 7" x 5" and one-third of an inch deep with a screen that's six inches long on the diagonal. The Sony Reader uses an 600x800 display from E Ink that looks more like a glossy printed page rather than a computer screen. The screen also consumes no power except when the display is updated. At around $300 the device is too expensive to change mainstream reading habits but is a sign of the technological advances that will change the way that books are read. Amazon's Kindle is due to launch in winter 2008 and, whilst similar in principle to Sony's reader, this could be the device that brings electronic books into the mainstream. It has a 6 inch glare free screen that mimics the look of paper and Kindle has an added Wifi web browser, free access to Wikipedia and can be used to download any of the 90,000 books, mags, newspapers and blogs that Amazon publish for the device. There are other examples of digital books such as the classic pdf Ebay e-book, Japanese books available for mobile phone download and audio podcast books, but I think the above are the 5 examples that have the potential to really revolutionise things. This is yet more evidence of how quickly the print medium is evolving and the above are good examples of how technology is changing the way that we consume printed matter. The Kindle is a fun toy and great for reading on the go, but that's about it. When at home, I doubt anything can ever replace a real book. As for dailylit, you might be interested in checking out dailyreader.net which follows the same concept. Though again, it has it's purpose (reading at work/being forcefed a book). In the end, the digitization of books is great in that it can increase the target audience, but real paper will never die. Most of the publishers are looking to digitize their books. There is a website called www.pressmart.net providing the services of digitization of books and other print publications. I think this information may be useful to the publishers who are looking for digitization services. downloading its text wirelessly, like a cellphone." "Kindle is not going to make bookshops or libraries redundant - yet." "Much more viable than Sony's 2006 shot at ebook glory." "Kindle proves that the ebook concept will, in the not too distant future, become a reality and undermine the commercial dominance of the standalone analogue book. This is great news - not only for future generations of readers, but also for trees." Cellphone novels have really taken off in Japan! Authors use mobile phones to publish, consumers use mobile phones to read them. Containing little of the traditional plotting and character development of a traditional novel, cellphone novels mainly of short sentences characteristic of text messaging. In December Japanese publishers were shocked to find the year-end best seller tally showed that cellphone novels (republished in book form) have come to dominate the mainstream, with 5 of the top 10 best sellers originally cellphone novels! When cellphone readership is included the sales volume is even higher - definitely a trend to watch!